OK, and Sebastian, your side, what’s the mood at Maranello? 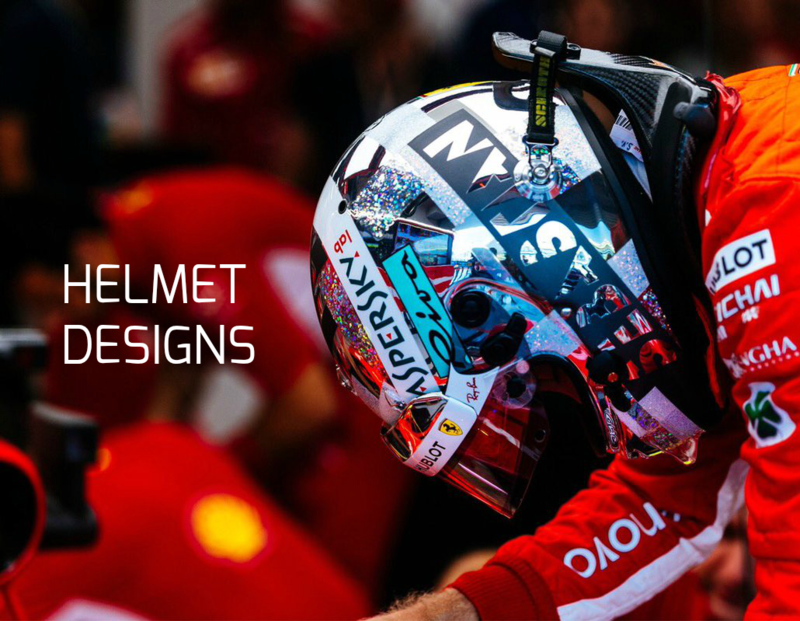 Have you and Ferrari improved enough and learned enough during 2017 to believe that you can go one better and become world champions next year? Sebastian VETTEL: Well, I think if we can do a similar step for next year then… no, don’t get me wrong, it’s a joke and Germans don’t joke so much, then it should be a walk in the park. I think what I want to say is that the step that we have done this year was incredible. The way the team has come out with a competitive car at the beginning, the way we have improved both chassis and engine, on all fronts I think it has been outstanding. We have been close for most of the year, not close enough when it mattered, but that’s what happened. From that we made our conclusions, we learned our lessons. So I believe that those will help us next year. We are completely fired up. Obviously it was bitter but now I actually think it’s a positive that we have a couple of races to approach, to look forward to and look forward to next year. So we’ll see. Obviously everybody will be pushing very hard over the winter. I think we have the right, I think we proved that this year. We have what we need. It all starts again next year, so let’s see. And we will have a unique situation with two drivers going for a fifth world championship, so that’s something to look forward to. For the two of you then, it’s been a close duel between you for the world championship this year. Can you pick out one particular highlight of you duel this year. Lewis? SV: Shall we start with Baku? SV: Break the ice. But he didn’t do much. No, I don’t think we need to touch on that again. I think it’s been a good season, close… More wheel-to-wheel would be nice. LH: There needs to be more races like Barcelona kind of thing I would say. SV: That was a bit too straightforward for you to pass, but it always depends on what side you’re looking from. But for sure when you’re chasing down, that’s really intense and really nice. I think Spa was a really intense race. I was trying to push him all race. I probably had sort of a chance but he was very clever defending, up the hill, up Eau Rouge. I think it’s been a fun year. Obviously when you are racing that close, with hardly any mistakes, I think it’s fair to say also that this year Lewis probably made less mistakes and in the end he was just the better man and he deserved to win. OK, a final question to all three of you: it’s been a year of significant changes, Formula 1 has had a different approach in many areas this season, especially in digital and social. How do you feel things have gone and what have you appreciated and what remains to be done? SV: Well, from a driver’s seat the cars are much more fun to drive again, you can push a lot harder, which is the way I think Lewis and myself we got to know Formula 1 when we joined, more probably for Lewis than me, because I was more on the side lines at that time. That’s great, that’s what we drivers want. It’s great to see that the cars for faster. They’re never fast enough, because we always complain. I think that’s been great and made the racing better, the races for us more enjoyable. Whether that ends up in a better show and better TV, it depends on the race. But I think on that, wishes for next year is that everybody calms down. Some races are boring, so what? I don’t see the problem in that. I don’t think we need another record, another record every race, to have more overtaking and more overtaking. It’s true that overtaking sometimes, especially if you’re behind and you’re fast and you can’t get past for those reasons, it annoys you. But then again if you make the move there is a massive reward inside the car, sometimes out the car. What I want to say is that overtaking should be an achievement and not handed to you. So there’s a difficult balance but as I said, sometimes just relax and calm down and accept a boring race or a boring two races in a row and then there will be another great race after that and another one. So there are some things we can’t foresee even if it’s a time when we want to control everything, some things are good if they are not in our control. 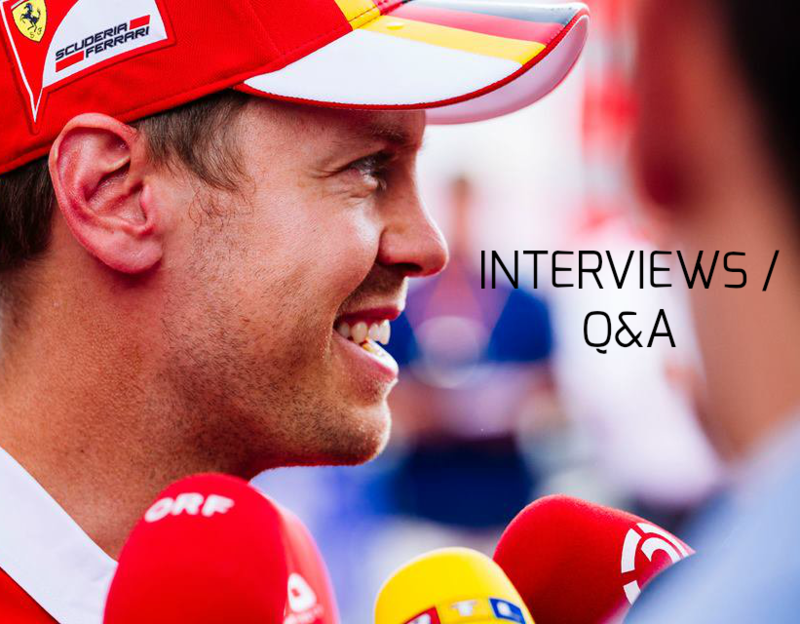 Q: (Adrian Rodriguez Huber – Agencia Efe) The question is for Seb and Lewis. Your next logical step would be to match Juan Manuel Fangio’s five titles. What does the name Juan Manuel Fangio say to you? SV: Certainly we will never match him in how successful he had been in such a short time and so little races. Obviously back then it was different. Racing was different. I had the pleasure to chat with Stirling, Stirling Moss, and if you ask him about Juan Manuel Fangio then I think you get a much better answer because he knew him and because he knew his skills in a car. I think as a racing driver if you come to a point where you say that… because in a way you always tend to think you are the best, otherwise there’s not much point I guess, but if you reach a point where you say ‘that guy was just better than me’ it says a lot and if you look at Stirling’s record I think it has been incredible, not just in Formula 1 but in all the other categories as well. So he must have been really, really special. And as I said, to have achieved what he did achieve in that time, where a lot of things needed to come together, the cars were not as reliable and all of that, still he managed to be that successful, I think he’s probably the best we’ve ever had in terms of putting it together, in terms of skill, in terms of how brave they were at the time. I think racing at its core remained the same until today but the racing itself has changed massively since the ‘50s to today. 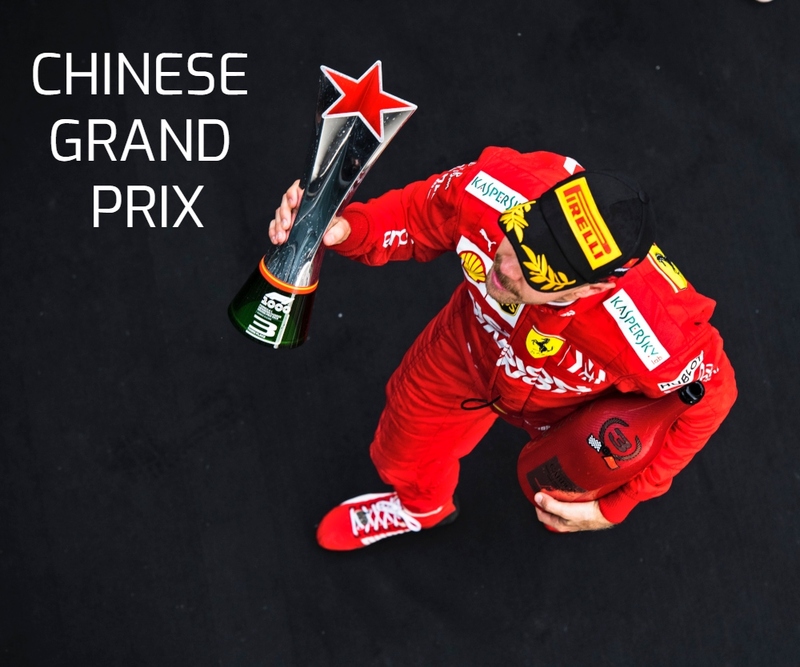 Q: (Flavio Vanetti – Corriere Della Sera) To Sebastian: Ferrari proved to be closer to Mercedes this season. Now you need the final step. Do you think it will be a tough one or not? SV: Yeah, massively tough. The level is very high. Mercedes has been very competitive the last couple of years and again this year, despite a regulation change that obviously helped us to get a bit closer. But for next year it’s the same story – you need to make that step. That final step you’re talking about is always the hardest. But that’s why we’re here. That’s the name of the game. As I said, the team is ready. The people in Maranello are already fired up. I think we have some good projects in the pipeline. Some will take time, some will come soon, but that’s the normal fight. Q: (Frank Wostenberg – De Telegraaf) For all three, what do you consider the best overtake of the season and can you explain why? Your personal best? DR: Too many to choose from! The attempts on Valtteri were fun, in Austin. Kimi in Monza in Turn 1 – that was from downtown, so that was pretty fun. Baku was a deciding one. There’s a few. SV: Not much to remember, you didn’t have to pass many people this year! LH: I passed you a couple of times, that was enough! Those were the most exciting ones. DR: Don’t say me in China! SV: That was actually quite good! I completely forgot that, I was about to say Valtteri in Barcelona. But yeah, maybe also the one on Daniel as well. Q: (Phil Duncan – PA) Lewis and Seb, this is obviously the first year you two have gone toe to toe for the title, well, for most of the year. I was just wondering if you could assess each other’s strengths, if there’s been any surprises along the way, and the weaknesses you may wish to exploit in 2018? SV: Well it was toe-to-toe did you say, for most of the season, but not for the important part of the season, so in a way I’d love this press conference to be less relaxed but that’s not the case. I think it’s been fun for us, obviously, a massive achievement, a massive step. If you look where we were in 2016, I think we did the biggest step out of all and probably from winter testing we were right there. I think also one thing that hasn’t been our strength as a team, was ‘go with the development’ and I think especially this year, that was probably the most important part to stay in the fight and I think we proved that we did. I think historically we lost out as the season progressed but this year were, in my point of it’s been hardest because there’s so much potential still, so many big steps you can make if you’re doing well, but we managed to do them as well and we stayed in the fight. Obviously we had two or three races that turned out to be very costly, for different reasons and, as Lewis touched on, they’ve been very, very strong all year, very consistent. But yeah, in the end we weren’t good enough to take it to the last race and take the championship. So, I think we know what we need to do. There are lessons that were obvious, some were a bit more hidden but I’m sure we’ll dig deep enough and try to find all of them. Q: (Heikki Kulta – Turun Sanomat) Sebastian, your team-mate has more than 90 races without a victory. How would you feel yourself with that kind of run of results? SV: Well, as we just proved, racing drivers don’t have good memories, so I’m pretty sure if you ask Kimi, he’s not aware of that number. So, yeah, I think we generally look forward. The sport is teaching us to look forward too, there’s always the next race, the next update, the next step you’re looking forward to, so I think in a way it teaches you to… not forget but just to focus on what’s coming rather than being occupied with what’s behind you. So I don’t think there’s a big deal. There’s always some sort of numbers that work in your favour and some numbers that don’t work in your favour. Q: (Aldona Marciniak – Fakt) To all three of you. Many F1 fans refer to this race as a last race of a certain era, because it’s the last race without the Halo. Is it a justified opinion, from your perspective, and will you think about it, stepping into the car this weekend? SV: I wasn’t aware… I mean I am aware but I wasn’t thinking about that. Yeah, probably they are right. I think the cars will look different next year. Everything I’ve seen so far looks different but on the other hand I think it’s something that we all get used to – but yeah, it’s no doubt that the cars look better the way they are now but I’m sure that, as I say, we’ll get used to it and we’ll work on the aesthetics so it will look fine as well. So, in the end it’s probably less of a big deal. Q: (Walter Koster – Saarbruecker Zeitung) Lewis, in a few weeks you will receive your champion award but there are still other awards, like for the rookie of the year, personality of the year and the action of the year. And now the Mercedes tyre queue had one for, first time, the first fastest pitstop award. Do you think that there enough awards – or can you image other awards? For example, like an award for Fair Play? For a special friendly action. Or there are no friendly actions in Formula One. What’s your opinion, and the opinion of Sebastian and Ricciardo for this subject? SV: I should get move of the year, personality of the year and also, what was the last one, fair play… well, fair play maybe not… but those two for Baku for sure. LH: I have a friend who plays a golf tournament in England. It’s called the Clown Cup, I think, and if you finish last you get the clown. So, there should be at least something like that. Not for finishing last, but for someone who doesn’t have the fair play thing. You don’t want to over-saturate with awards. They did a great job already, the FIA have quite a lot of awards as it is. Daniel, what would you add? DR: Nothing. After how long that question was, imagine there was more awards, imagine how long you’d talk for? LH: Longest question? There should be ‘journalist of the year’. SV: Question of the year. DR: I don’t know what to say. We don’t need a good sportsman or anything like that. I remember at school you’d get a ‘good effort’ sticker and it was just to give you something – but it was meaningless. I think, as Lewis said, I you start just handing them out… there’s one award that all of us want and it’s the world title. The rest doesn’t matter.